Declaration regarding «Parallel currencies» discussed during the BVMW workshop «Parallel currencies – options, chances, risks», Berlin, July 24, 2012. The signatories share the concern that an uncoordinated break-down of the European monetary union could economically harm every member state and substantially damage the idea of European integration. Therefore, the signatories strongly request European leaders to evaluate alternatives to the recent rescue approach. It is our conviction that the implementation of a parallel currency is an economically convincing and politically executable alternative, also in accordance with Article 128 TFEU2. A parallel currency means that another currency is introduced in addition to the Euro. Thereby, the struggling nations can become more competitive and fundamental elements of the European monetary union are preserved. We are aware of the fact that the implementation of a parallel currency is not a substitute for structural reforms, but can only supplement them. Mario Ohoven (Präsident des BVMW e.V. und CEA-PME). Trond Andresen (Norwegian University of Science and Technology). Eckhard Behrens (Seminar für freiheitliche Ordnung e.V., Bad Böll). Prof. Dr. Ulrich Brasche (Fachhochschule Brandenburg). LL.M. André ten Dam (unabhängiger Euroforscher). Dr. Hans Kremendahl (SPD, Staatssekretär a.D.). 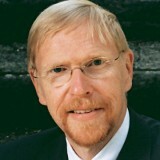 Prof. Dr. Bernd Lucke (Universität Hamburg). Dr. Thomas Mayer (Center for Financial Studies der Goethe Universität Frankfurt und Deutsche Bank). Werner Onken (Zeitschrift für Sozialökonomie). Dr. Hans-Michael Pott (Sernetz Schäfer Rechtsanwälte). Prof. Dr. Roland Vaubel (Universität Mannheim). 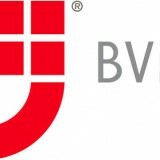 BVMW: Dr. Michael Vogelsang (Chefvolkswirt), Sindy Vollmert, Josef Girshovich, Nicole Wägner und Peter Menke-Glückert (Deutsches Forum nachhaltiger Mittelstand). 2 TFEU: Treaty on the functioning of the European Union.